During Italy’s Best’s Testaccio Market Tour, your culinary expert will guide you through a local Roman market and you’ll nibble on a variety of local products. When it comes to food shopping in Rome, the storied food markets are as authentic an experience as one can get. 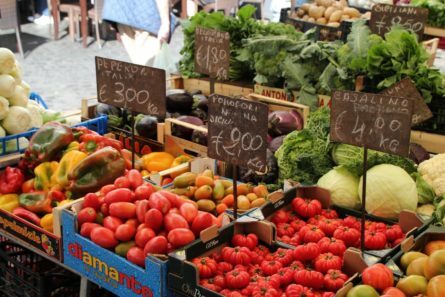 Italy’s Best offers a Testaccio market tour, one of Rome’s most beloved food markets. Your private English speaking guide and food expert from Italy’s Best will take you though the Testaccio market where you’ll get to see, smell and taste a colorful array of produce as well sample some of the offerings from the local farmers, from olive oil to salumi to cheese to bread, among others. It’s all there! In addition to learning about the regional food of Rome and Lazio, you’ll also get an overview of the market’s history and its crucial role in daily Roman life. A two-hour experience for kids at a gladiator school in Rome, followed by a visit to the ancient Roman catacombs for an underground experience.